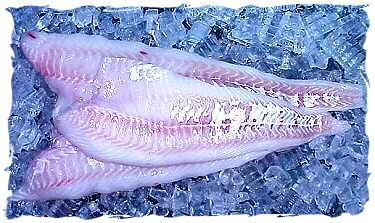 At AlwaysFreshFish.com we purchase North Atlantic Cod from the U.S. and Canada. The fresh Cod is shipped to our processing plant daily and filleted. Fresh Codfish fillets have a white meat, a large flake and very mild flavor. Fresh Codfish fillets are agreeable with most fish recipes calling for a mild flavorful fish. 1 lb. Fresh Codfish Fillet + 4 lbs. Add. Selections = 5 lb. Total Order OK! Place Codfish fillets in lightly oiled baking dish. Cover generously with bread crumb mixture. Bake at 325° until fish flakes easily, being careful not to burn breadcrumbs. For additional information on Fresh Codfish Fillet, please e-mail AlwaysFreshFish.com.